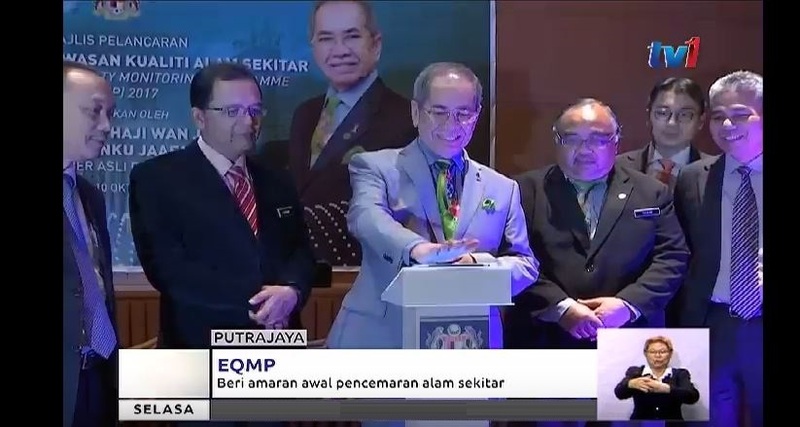 To evaluate water quality trend across Malaysia over a period of time. To identify possible water pollution and pollution control. To understand the environmental fate of different pollutants. To assess the fitness of water for different uses. 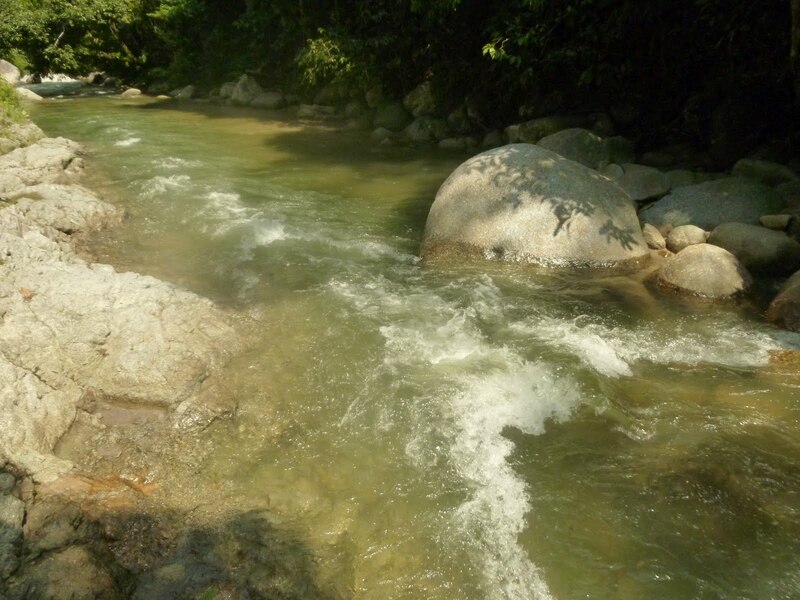 The water quality monitoring programme is divided further into river and marine sub-components. 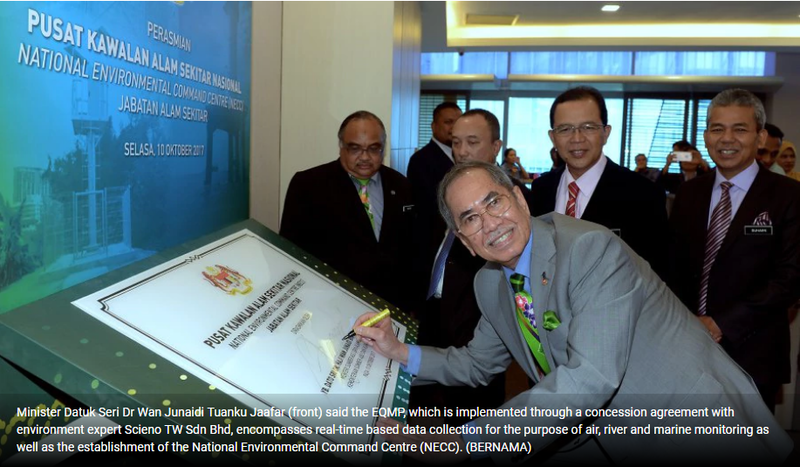 30 continuous river water quality monitoring stations are deployed across Malaysia. Each continuous monitoring station provides hourly river water quality data to the National Environmental Data Centre monitoring system. Parameters of the continuous river water quality monitoring stations includes DO, BOD, COD, TSS, Ammoniacal-N, Nitrate, pH, Conductivity, Salinity, Hydrocarbon, Temperature, Turbidity, Flow rate, Water Level. Manual river water quality monitoring stations are deployed at 1,353 locations for regular river water quality data analysis. 4 rapid response teams for investigative sampling / special study team are available for deployment upon the request by the Malaysia Department of Environment. 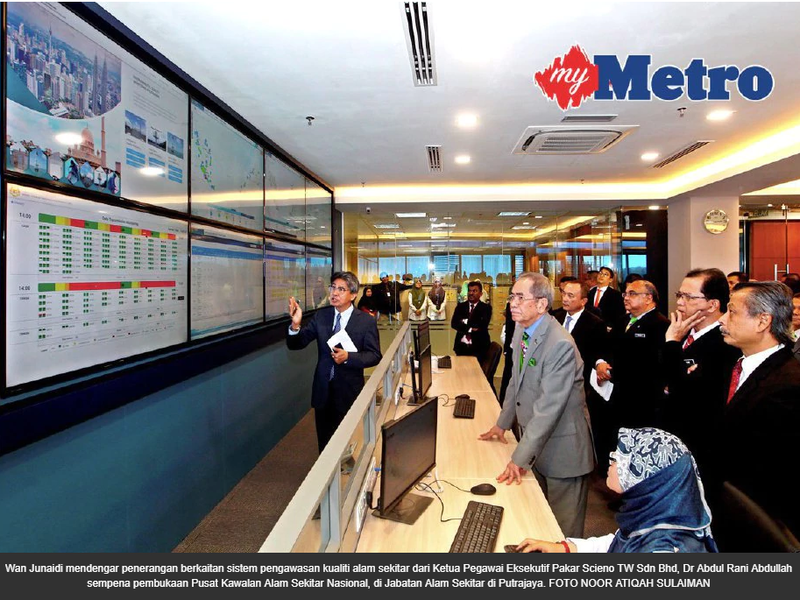 10 continuous marine water quality monitoring stations are deployed across Malaysia. Each continuous monitoring station provides hourly marine water quality data to the National Environmental Data Centre monitoring system. Parameters of the continuous marine water quality monitoring stations includes dissolved oxygen, salinity, temperature, turbidity, electric conductivity, pH, Chlorophyll-a, CDOM, PAH/Hydrocarbon. Manual marine water quality monitoring stations are deployed 388 locations at coastal area, islands, estuaryand Straits of Johor for regular marine water quality data analysis. 7 monitoring buoys for Investigative sampling / special study team are available for deployment upon the request by the Malaysia Department of Environment. 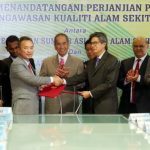 In June 2016, Pakar Scieno TW Sdn Bhd was awarded a 15-year contract to develop, establish and implement the National Environmental Quality Monitoring Program (NEQMP) which represents a new era in environmental quality monitoring network design and technology in Malaysia. Discover the impact you could make with a career at PSTW.